Increasingly over the last handful of years, individuals with a professional helping background in counseling, therapy, social work, etc. are breaking into coaching. In addition to their passion for helping people, these professionals are some of the most highly educated and trained people on the planet. Often it’s bittersweet for them to leave the profession where they’ve given so much blood, sweat, and tears. For many, the bureaucratic red tape, the hassle with billing (and trying to get paid by) insurance companies, the stress of some of the cases, to say nothing of the wage, has left them quite fatigued and disappointed. All they ever wanted to do was help people, but they’ve found that most of their time is spent jumping through hoops in order to do it. It’s simply not what they signed up for. With coaching, a ray of hope has shined upon many of these professionals who still want to help people but need some breathing room in order to do it. Life Coach Training Institute has helped many people with a counseling, therapy, social work background get trained and certified as well as get their coaching practices launched. For anyone who’s come from a professional helping/advising role, it’s a bit of an adjustment to go from advising to coaching. So what I hope to do in today’s Mentor Monday is help all of you who were previously wired in one of these roles to be able to distinguish counseling from coaching as well as successfully make the switch in your approach. For the sake of simplicity, I’m just going to use the words “counselor” and “counseling” to generalize the role to help us understand the difference. Many or most of the skills that counselors have utilized will be transferrable. But the application of those skills in coaching requires a lens change. Lens Change #1: Looking forward, rather than looking backward. A lot of counseling gets preoccupied with the past as though there’s some sort of problem that needs to get solved. However, in coaching, we are future focused, and we believe the client is whole enough to move forward without dwelling on the past. It’s not that we don’t acknowledge that the client has a past, but we assume that the client is whole enough to make choices towards their future in spite of their past. Counselors are used to working with patients who have something broken in their lives that needs restoration before they can move forward. Quite frankly, some people really don’t need to be taking on their future if they have wounds or some sort of dysfunction. Coaches don’t do fixing or restoration work. This is really important because every week I am contacted by at least one or two individuals who want to coach “victims” of something from abuse to infidelity. Coaches don’t work with “victims,” but they do work with “overcomers.” This is an important distinction. I don’t want you to think that I’m just labeling people who aren’t worthy of coaching. Quite the opposite. When I hear the term “victim,” I immediately assume that this individual is still in process with their healing. People who need healing need a professional who’s been trained in that specialty. A coach simply can’t do that sort of work. They aren’t trained to do it, and they may even open themselves up to a lawsuit. Now, if a coach wants to work with an individual who’s gotten to a high degree of wholeness from their past, then that would be acceptable. And, just a hint for those of you who want to help individuals move towards their future who’ve gotten healing from a specific past wound: don’t call them victims. That’s a label. It’s an identity marker. And it sounds powerless. That’s why I like a word like, “overcomer;” the past has no power over them. Having said that, coaches aren’t fixers, they are builders. 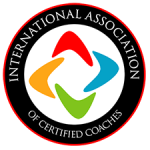 Coaches work with individuals who have solid foundations and maybe some structure, but they see the client as an individual who could potentially build any kind of life that they want. The possibilities are wide open. Lens Change #3: Look for what’s right, rather than what’s wrong. Counselors have been trained to find the problem and diagnose. For that matter, if a counselor wants to get paid, they might actually be required to come up with a diagnosis! It’s pretty normal for new coaches who are used to providing all the answers to accidentally slip into counseling mode. That’s why this particular lens change can quickly snap you back into coaching mode. It’s all about perspective. If I find myself counseling, then I’m looking at the wrong thing. Both options are possible for anyone who’s sitting in front of me. I know that no one has all their ducks in a row. I can find something wrong with anyone or their thinking if I look for it. But I can just as easily find what is right with them if I look for it and call it out. Coaches look for what’s right, rather than what’s wrong. Lens Change #4: The client has the answers, rather than “I” have the answers. The responsibility for solutions is on the client. This is a stretch for a counselor who’s gotten some extraordinary training and credentials to back up having the right answer. That’s one thing that a counselor will have to surrender: the need to have the right answer. It’s so counter-intuitive; it feels almost wrong to a professional. How can you allow non-professionals to come up with their own solutions? What if they come up with the wrong thing? You must view coaching clients as individuals who are whole, powerful people, that are experts in one thing that we’re not: themselves. They know who they are, what they believe, their skills, their limitations, they know their own quirks, history, etc. And their solutions will work because the client themselves are the ones coming up with them. Also, their solutions will stick and will be followed through to a much higher degree than those that come from a counselor, because the client came up with the solutions themselves. With all that said, you counselors are probably like: Well if I’m not giving solutions, then what am I getting paid for? Well, you’re getting paid for all those extraordinary skills you’re employing: deep listening and reframing, withholding judgment, and seeking solutions. If that’s your background, all of that training and experience is going to put you in the driver’s seat for coaching clients. You’ll keep clients from getting stuck. Coaches get paid for that, but they also get paid for partnering with the client to come up with solutions. Coaches get paid for helping them set S.M.A.R.T. goals and holding them accountable. Coaches encourage; coaches hold up a mirror and point out the greatness in them. Coaches give their clients a process that helps them overcome the barriers that used to be limiting. It’s quite a life-giving, exhilarating experience! IF YOU ENJOYED THIS, PLEASE SHARE & GIVE US SOME FEEDBACK! I hope you enjoyed this week’s Mentor Monday. If you would, give us a shout-out on social media. You’ll find the links in the author section below.